I recently read Lovestruck, which I’ve enjoyed immensely! It’s about Greek gods interfering in human lives. And Kali, a daughter of Eros and matchmaker extraordinaire, accidentally stings ehrself with one of her arrows and falls head over heels for a human boy. The book is light and fun and full of cute romance. And you know what? It’s out in the world now from Flux! Woohoo!! And I was lucky and had the chance to do a little interview on gods and travelling with the author, Kate Watson. What inspired you to write Lovestruck? Was it more of a sudden idea or has it been on your mind for a longer time? It was definitely a sudden idea. I was at work about ten years ago, and I had an image appear in my mind of a Cupid standing in a busy school hallway with a dot of ichor on her finger. She was staring in shock at the boy she’d just accidentally matched herself with. I started researching and writing down ideas from there, and then in 2013 for NaNoWriMo, I decided to tackle the story. Do you have a favourite Greek myth? Which is it and why do you like it? Eros and Psyche is one of my all-time favorite stories. It’s so romantic and beautiful, and I love the lengths that Psyche goes to in order to claim her true love. Would you rather be a muse or a cupid? Gah! This is such a good question! I would probably want to be a muse, because I’m an absolute pop culture fiend. But at my core, I’m a romantic, and I love love and think real, abiding love makes the world a better place even than really great music. So cupid (erote!) it is. 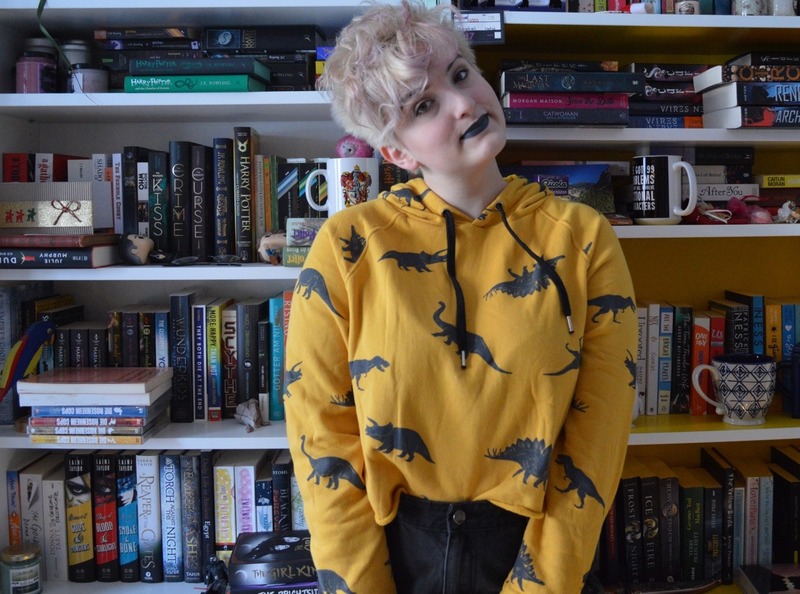 Is there a fictional character you can identify yourself with? Or maybe a Greek god or goddess? The Greek goddesses are all a little too vengeful for my tastes! If I relate to anyone, it would be a Jane Austen character–I wish I could say I’m an Elizabeth Bennett, but I’m probably more of an Emma Woodhouse. You’ve lived and studied in several countries. Where did you like it best? Can you share a weird or exciting experience? I visited Israel in high school and then studied there for a short time in college, and it was the most incredible experience of my life. My dad’s family is Jewish, so it was really profound to get to connect with that part of my heritage. My time in Israel also let me visit Jordan and Egypt, and walking those ancient paths made me feel connected to history in a way I’d never understood before. In terms of weird experiences, though, I had my funniest one in England with my husband several years ago. I have an ear for accents to the point that I sort of subconsciously adopt the accents of the people around me. So while we were in England, I couldn’t turn it off and, instead, decided to just go with it. I went Full English the entire eight days we were there. While we were waiting for a tube stop, I had a local ask me for directions (to a place we’d just left), so I was able to give them to her! She thanked me and then said, “I’m so glad I actually asked another Brit this time!” and my husband and I couldn’t stop laughing after she left. It was definitely a highlight! I really wish I could do accents that well… Thank you so much for this interview! 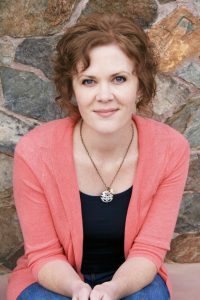 Kate Watson is a young adult writer, wife, mother of three, and the tenth of thirteen children. Originally from Canada, she attended college in the States and holds a BA in Philosophy from Brigham Young University. A lover of travel, speaking in accents, and experiencing new cultures, she has also lived in Israel, Brazil, and the American South, and she now calls Arizona home. 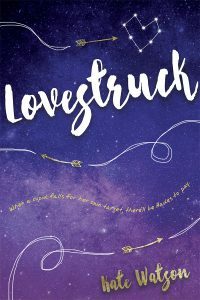 If you’d like to know my thoughts on Lovestruck, you can read my review here. If you’re curious and want to get the book, you can do so here.